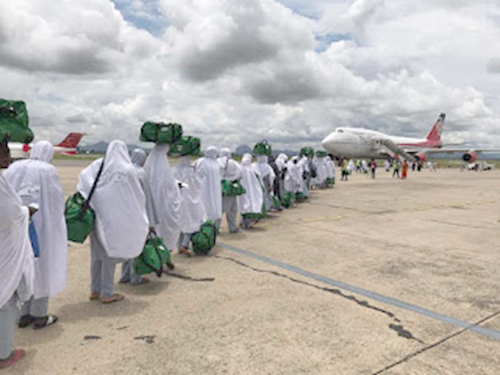 The NAHCON Chairman and Chief Executive Officer, Barrister Abdullahi Mukhar Muhammad disclosed that the event was organised in preparation for 2019 Hajj operations, to offer an opportunity for the Commission and Licensed Tour Operators’ (LTO) to brainstorm on crucial matters necessary for the success of the 2019 exercise.The Chairman was particular on the manner some of the LTOs discharge their responsibility to their clients,which leaves much to be desired. “The Chairman assured the gathering that government is willing to help strengthen those ventures pursuing their responsibilities with sincerity. He opined that documenting every contract agreement properly is instrumental to diffusing a lot of confusion between them and their clienteles. In another development, the Chairman and entire management staff of NAHCON acknowledge with profound gratitude, the Islamic Development Bank’ s grant to Commission. The grant, which comes in form of sponsorship of staff for capacity building/training is designed to facilitate sharing of knowledge and expertise between staff of the Commission and relevant institutions. This is in line with the bank’s policy of developing institutions for maximum productivity and infrastructural development. Likewise, NAHCON will enjoy provision of office equipment as part of the IsDB’s development financing projects. The Commission most sincerely thanks His Excellency, Dr. Mansur Muhtar, Vice President, Sectorial Operation of IsDB Headquarters in Jeddafor the role he played in the actualisation of these schemes. The NAHCON Chairman equally expresses appreciation to Mr Mayoro Niang, Manager-Regional Hub of Abuja; Hon. Mohammed Gambo Shuaibu, is DB Executive Director Abuja; and Dr. Mahmud Kamar, Country Manager; who painstakingly coordinated and facilitated discussions that led to the timely realisation of this sponsorship scheme. The Commission is confident that the equipment to be supplied and staff training will considerably enhance the progress of Hajj management in the country.